Magento is an object-oriented PHP Framework that can be used to develop modern, dynamic web applications that tap into Magento’s powerful eCommerce features. Magento offers flexible, scalable eCommerce solutions designed to help you grow and succeed online. 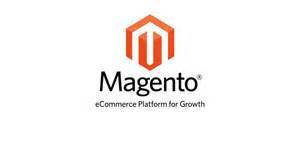 Magento is owned by eBay Inc., a global leader in commerce technology. It facilitates ecommerce, multichannel retailing and digital marketing for global enterprises. The large array of the Magento features is one of the main benefits of Magento. Through them you can easily develop and manage a successful online store. Magento features like different payment engines and shipping options along with the international support and high security using a private SSL certificate will make your shop an attractive place for e-commerce. Magento employs the MySQL relational database management system, the PHP programming language, and elements of the Zend Framework. One consequence of this design decision is that the View has been separated into Blocks and Templates. Blocks are PHP objects, Templates are “raw” PHP files (with a .phtml extension) that contain a mix of HTML and PHP (where PHP is used as a templating language). Each Block is tied to a single Template file. Inside a phtml file, PHP’s $this keyword will contain a reference to the Template’s Block object. We at http://alcanzarsoft.com/ we use Magento Framework that provides a basic theme which sets up an ecommerce website. It uses cost-effective technology platform that help us to control the content, functionality, look and feel of your online store. Author: Alcanzarsoft is a tech enthusiast and likes writing about technology.